Last Saturday (10-15) I joined a team of twenty-one people on a trip to Barahona, Dominican Republic for a week of laying block, mixing mecla, teaching children, and feeding families. To say those seven days were life-changing is an understatement. The day after we arrived, we attended a church service in the community where we stayed. I did not miss an opportunity to fulfill my role in worship; this is what came out of it. We attended the Sunday school time of the service, in which the pastor presented the text for the morning and then opened the floor to the congregation for questions, opinions and discussion. My Spanish is extremely limited, but I was able to pick up that we were discussing the beheading of John the Baptist. The idea of open discussion of the message, welcoming everyone’s thoughts as valid ideas while still being open to correction, not to mention the enthusiastic participation of the congregation struck a refreshing chord in my mind. I couldn’t understand many of the words being said, but I still felt the spirit of God surrounding everyone in the room. I wasn’t able to participate in the discussion, but still I grew. This is worship. We often place so much emphasis on proving our “rightness” we neglect our call to righteousness. I believe this imbalance is the stone around the neck of the church. God has given us each a particular place in the body of Christ, the church, required to accomplish worship. 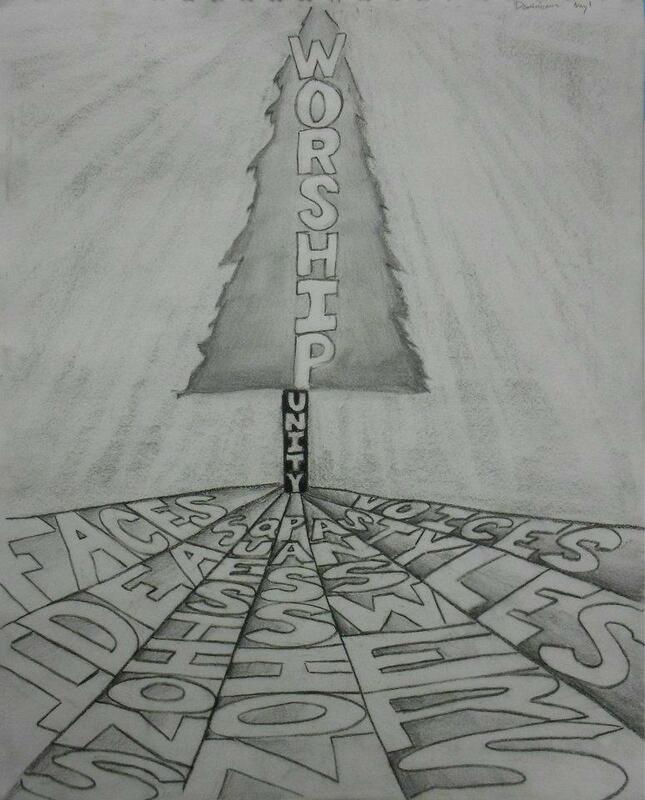 Each unique ability/passion/gift God places in all humanity is at the root of worship, meant to feed the tree. The trunk of the tree of worship relies on unity for its strength. Only when we get past our differences, get over our fear of being wrong, let go of the self-worship driving us to dominance can we truly be unified. Through a wide-spread of roots that converge into a strong, unified trunk, worship flourishes.